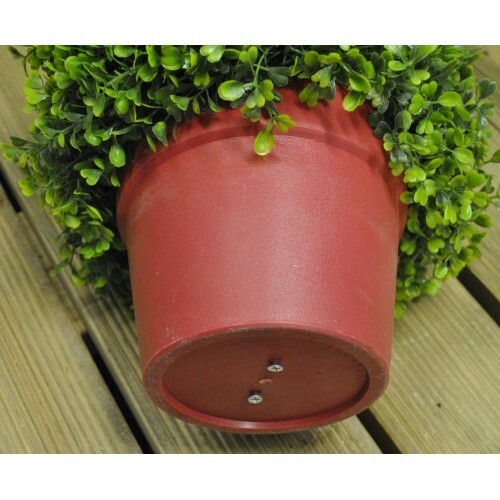 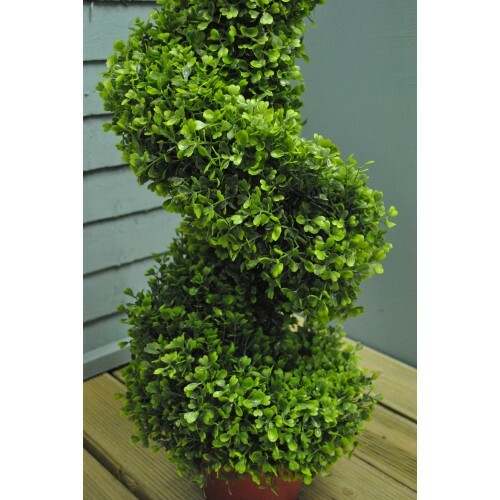 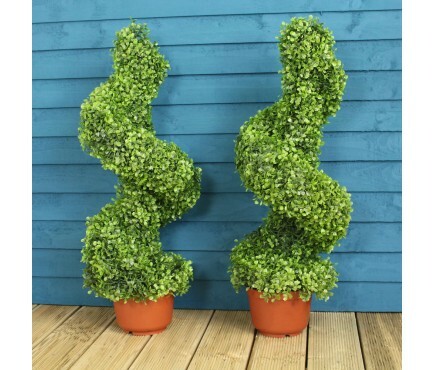 This pair of artificial spiral topiary trees complete with pots are suitable for indoor and outdoor use. 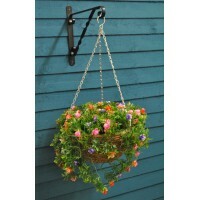 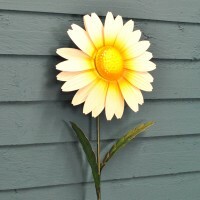 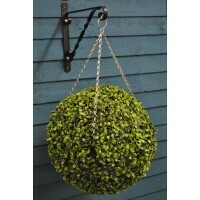 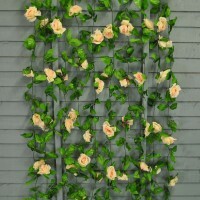 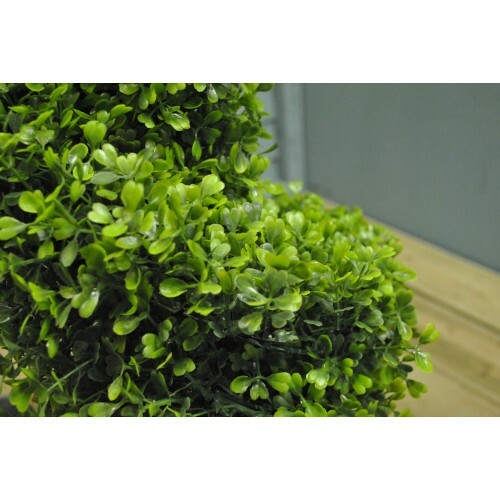 They look like the real thing and are perfect for enhancing doorways, patios, balconies, decking, office areas or in the home. 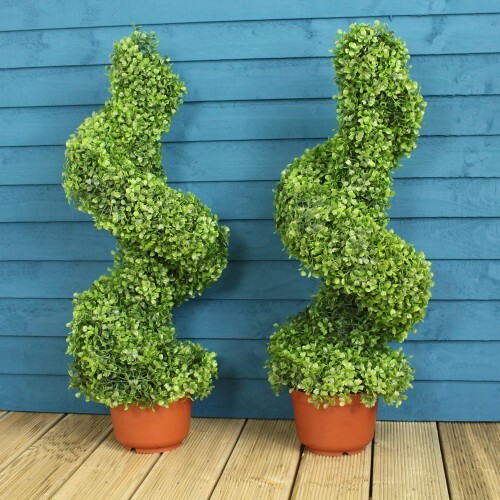 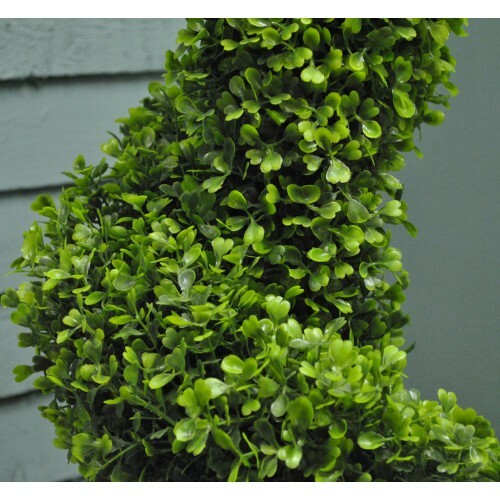 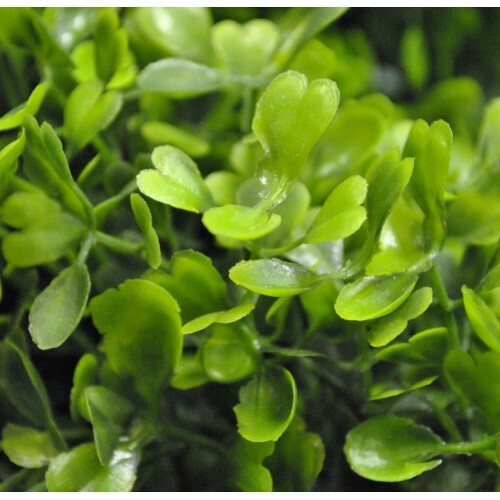 Standing at 80cm tall, these artificial topiary plants are 25cm wide at the base and are made from realistic looking plastic leaves; the plastic terracotta effect pots are weighted so that they stand upright on their own (weighing 3kg each), however they will need support and shelter from the wind if placed in an exposed position.